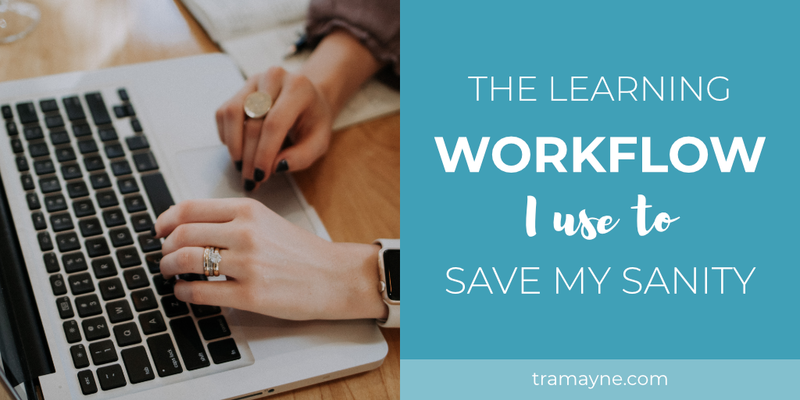 The learning workflow I use to save my sanity - Selena Tramayne, Ph.D.
We all have to keep up with reading (and implementing) the latest tips and strategies in our niche. It doesn’t matter what it is, we need to keep learning. For me, that’s learning more and more about how to have a thriving coaching business. The problem is that there is so much overwhelming info out there. So out of necessity, I created a learning workflow that streamlines that part of my business. 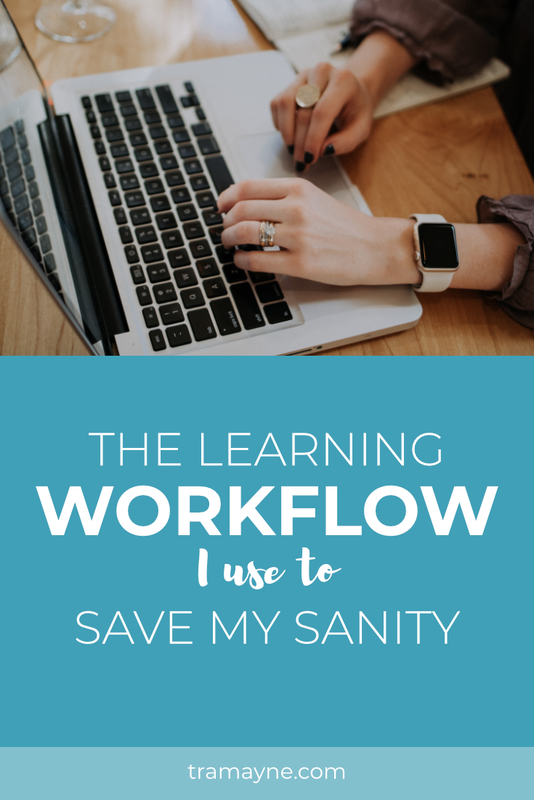 Watch the video or read the steps below to see how I've implemented this workflow to save me from "learning overwhelm." Here are the steps I take to make learning easier, less overwhelming, and more enjoyable. I hope you find some nuggets in this learning workflow to use in your own business. I'm on quite a few email newsletter lists that have to do with business, but I can't read them all. So, I send them to my Evernote account. I use Evernote because it can handle the number of emails and blog articles that I throw at it. I tried using Microsoft OneNote, but it just couldn't handle the volume. It got bogged down. For email newsletters that contain all the information within the email itself, my email app, Spark, allows me to send the entire email to Evernote. Once that's done, I delete the email. For email newsletters that have a link out to a blog post, I go out to the blog article and use the Evernote Chrome Extension to save it to Evernote. The A stands for articles. 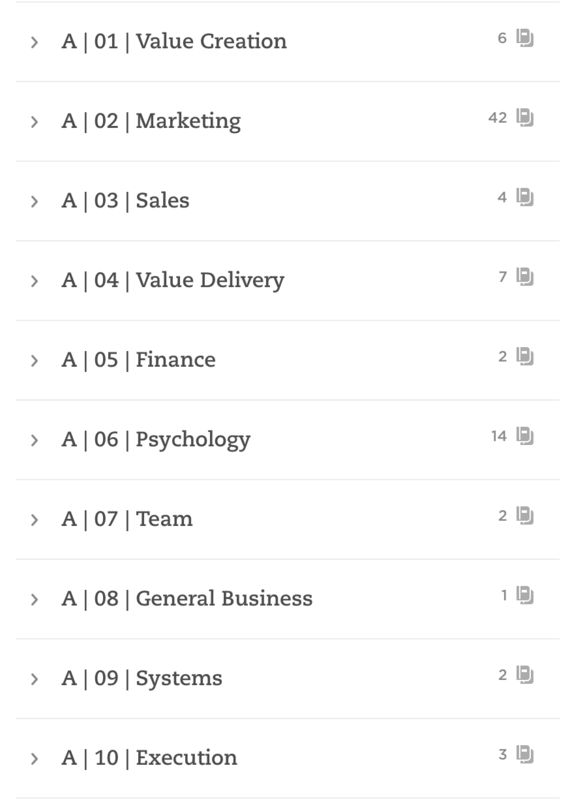 I also have B for books and C for courses. The numbers are my way to get Evernote to sort the way I want it to since it doesn't allow for manual sorting. When I’m ready to study a topic, I've got source material to start with and I'm ready to move on to the next step. I first look for an article that is a good overview of the topic, such as the one I use in the video. I go in knowing that I want to create a visual map of the material. Before diving in and reading any of the articles, I’ll look at all the headers and subheads first. Then, I'll create a mindmap. If I build an mindmap first, I'll have a better chance of retaining the information and using it later. To create the visual map, you can use a mind mapping app like I do in the video, or you can use an app that lets you create an outline. It just depends on what works for you. My favorite are mind maps that I can turn into outlines, that I can then turn into articles and other content. Once you've created a visual map from all the articles in your collection, you should have a solid understanding of the topic. If the framework still has gaps, you can go out and use other sources such as BuzzSumo, Feedly, and Google to fill in the rest. Once you feel like you've got a solid framework in place with no real gaps, you're ready to start reading the articles. All those new bits of info will automatically be put in the right place in the framework. And you'll be pretty knowledgeable on that topic in no time. Note: if this is a topic that you'll need to understand at its deepest level, then you would also want to include books and courses to make sure that your knowledge is rounded out and deep. I hope you found this article useful. And I hope it helps you keep your sanity when it comes to keeping up with your niche.